We love being on the trail more than anything. We also love to share our trail reports with all of our family, friends, and of course our readers. 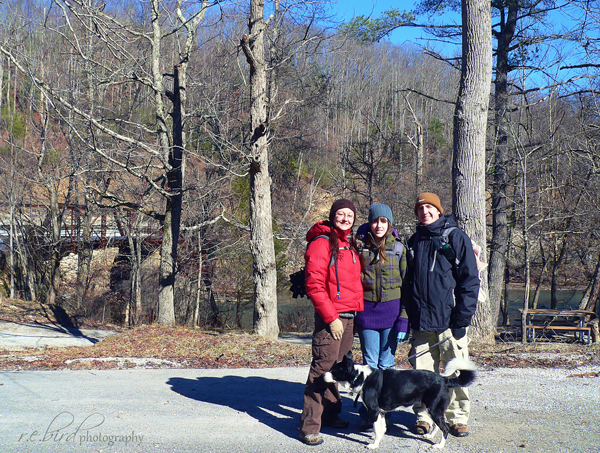 Unfortunately, we don't always get to a trail on the weekends and we blog about more than just hiking. With that being the case, the trail reports tend to be a little scattered and become lost amongst the huge pile of outdoor related blog posts. Of course, you could always click on the hiking tag in the tag cloud, but even then you still have some posts that may be hiking or trail related but doesn't always involve a trip report or trail details. So we decided to have a Trail Report page so that you could easily find information on the trails we have been on. 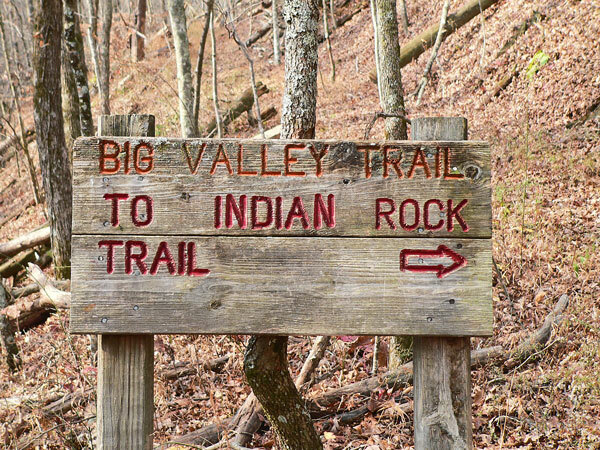 The Trail Reports page will be your guide, sorted by park/area, to the trails in our area of Southern Appalachia and beyond. We hope you find it helpful and as always we love to hear your comments. For those of you seeking an even bigger challenge, check out these top 50 long distance trails from BootBomb.com. 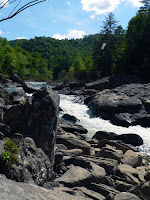 Angels Falls Trail - A 4 mile out and back round trip hike along the south fork of the Cumberland River, featuring wonderful views and 50+/- ft elevation gain. Rated easy to moderate. 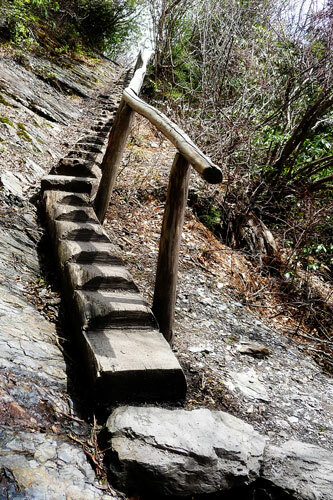 Burnt Mill Bridge Loop Trail - A 4.3 mile loop trail along the Clear Creek River, featuring ladders, rock overhangs, wonderful views, and 150+/- ft. elevation gain. Rated Moderate. 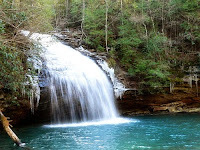 Gentlemen's Swimming Hole Trail - Part of a 3.2 mile loop hike when combined with the Meeting Bend Trail in Rugby area, at the southern edge of the Big South Fork, featuring a wonderful swimming hole, gorgeous views, and approximately 100-150ft. in elevation gain. Rated Moderate. 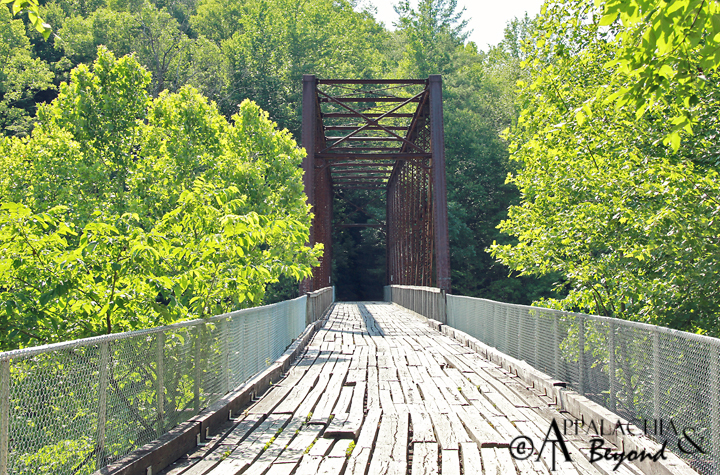 Honey Creek Loop Trail - A 5.5 mile loop trail hike, located in the Burnt Mill Bridge Area of the park. It features rugged beauty, waterfalls, wonderful views of the river and area, ladders, rock houses, and much more. Maximum elevation gain is approximately 500+ ft. This hike is rated strenuous and for experienced hikers only. Maude's Crack Hiking Trail - A 2.4 mile out an back trail with a total of 75ft. elevation loss/gain, unless you go through the crack. This trail features wonderful views of the canyon rim of Big South Fork and overlooks the No Business Creek area. The crack itself is a fissure in the rock and is quite the geologic wonder. The hike is rated moderate. 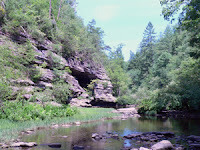 Meeting Bend Trail - Part of a 3.2 mile loop hike when combined with the Gentlemens Swimming Hole Trail in Rugby area, at the southern edge of the Big South Fork, featuring a wonderful swimming hole, gorgeous views, and approximately 100-150ft. in elevation gain. Rated Moderate. 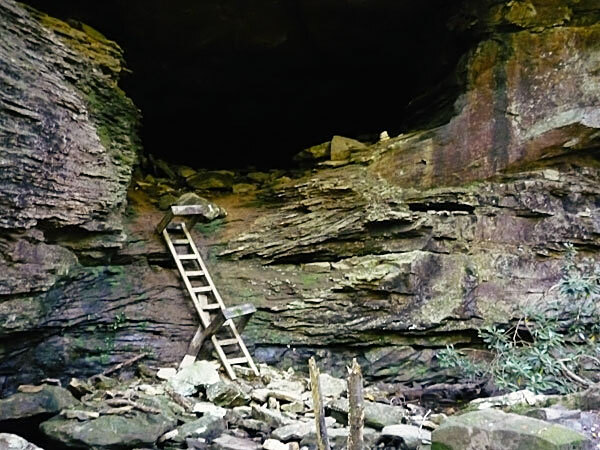 Oscar Blevins Farm Loop - A 3.75 mile hike in the Bandy Creek area of The Big South Fork, this trail offers lush scenery and plenty of geologic wonder. In addition, the Oscar Blevins Farmstead, still in use, is the highlight of this trail along with trail passage alongside Bandy Creek with plenty of wading opportunity. Total elevation gain on this trail is just over 200ft. Rated Easy to Moderate. Parts of the trail share time with mountain bikers and horses. 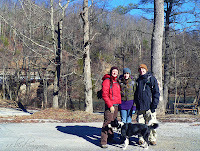 O & W Trail - A 4.6 mile out and back trail following along side the south fork of the Cumberland River. 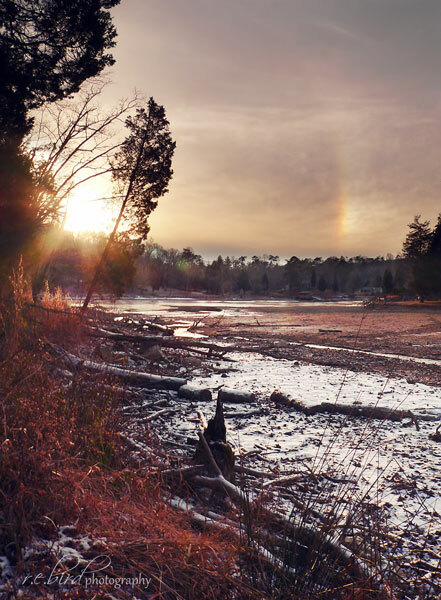 Starting at the Leatherwood Ford area and ending at the O&W train trestle, the trail features grand views of the river on one side, rock faces on the other, and plenty of flora and fauna. Elevation on this trail is minimal and the rating is moderate. Slave Falls Loop Trail - A 3.2 mile loop trail located near Charit Creek Lodge in the Big South Fork National River and Recreation Area. The trail is located on Fork Ridge Road, just off Divide Road and Features Slave Falls (a 60' waterfall) and Needle Arch (one of the many natural sandstone arches in the park). Elevation gain/loss on this trail is moderate (appox 300ft +/-) and we rate the trail as mildly moderate. Greenleaf Trail - A nature trail of sorts that is just under a mile in length. 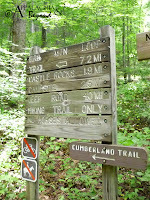 It's located in the Wilderness Road Campground in Cumberland Gap NHP. This is an easy trail, perfect for beginners and nature lovers with plenty of wildflowers in the spring. Elevation loss/gain is minimal at about +/-160ft. Tri-State Peak Trail - This out and back hike offers the unique opportunity to stand in three states at one time. This moderate hike starts at the Iron Furnace in Cumberland Gap, TN, is made up of 3 different trails, and is 2.88 miles total trip distance with over 850ft. elevation gain. Ewing Trail to White Rocks - This is a 6.4 mile round trip out and back to White Rocks. With an elevation gain of over 1500', it's sure to provide a challenge, but the view is totally worth it. Note: This report is posted at Trail Sherpa where we regularly contribute trail reports. 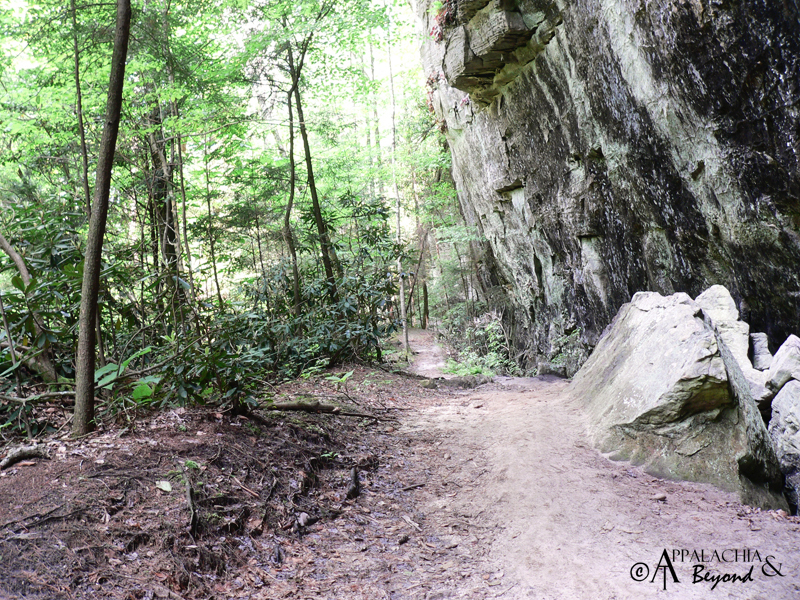 Alum Cave Bluff Trail - The Alum Cave Bluff trail up to LeConte Lodge on top of Mount LeConte, is a moderate to strenuous hike featuring a sandstone bluff giving the trail it's name. This is an out and back trail with a one way distance of 5.5 to the top of Mount LeConte. You can make your turn around point at the bluff and cut the trail in half. Total Elevation gain on this trip is +/- 2,560ft. Kephart Prong Trail - On the North Carolina side of the Smokies past Newfound Gap, the Kephart Prong trail is a quiet hike up to the Kephart backcountry shelter. This out and back hike is about 4 miles round trip with over 800ft. in elevation gain. It also features remnants of an old CCC camp. 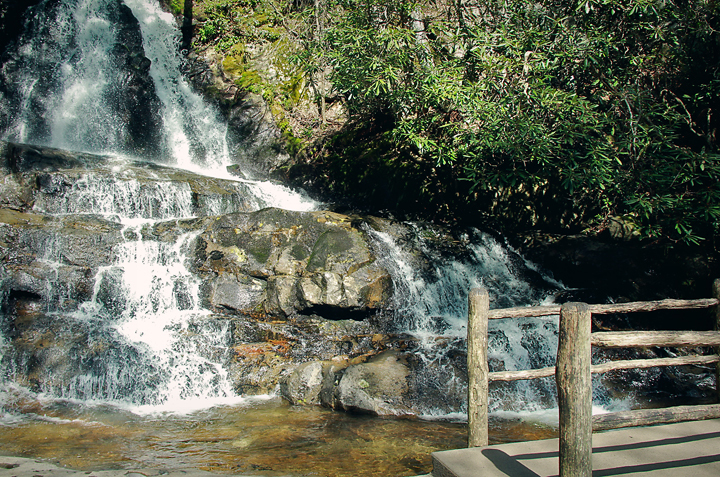 Laurel Falls Trail - One of the most popular trails in the Smokies, Laurel Falls is a 2.6 mile round trip hike with an elevation gain of over 450ft. The trail is mostly paved all the way to the falls. 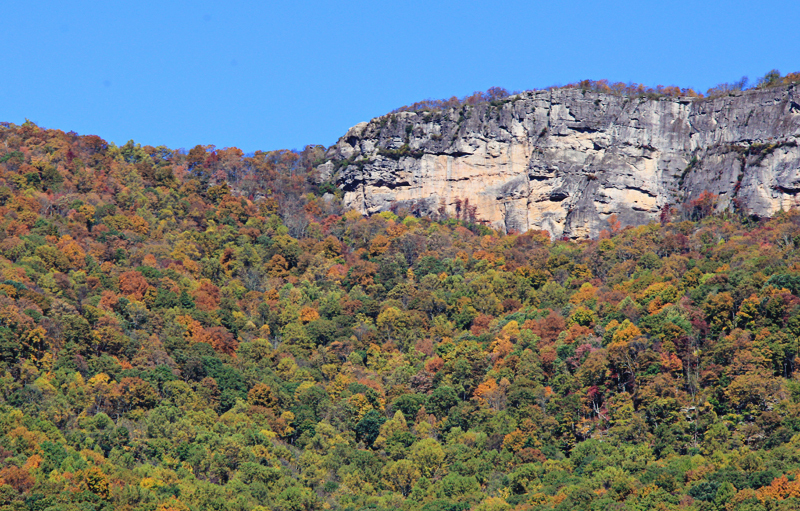 It continues past the falls to meet with the Little Greenbrier Trail and Cove Mountain Trails. The reward of the Laurel Falls is the 80ft Laurel Falls waterfall. Be prepared for large crowds on this trail and bears have been active in this area. 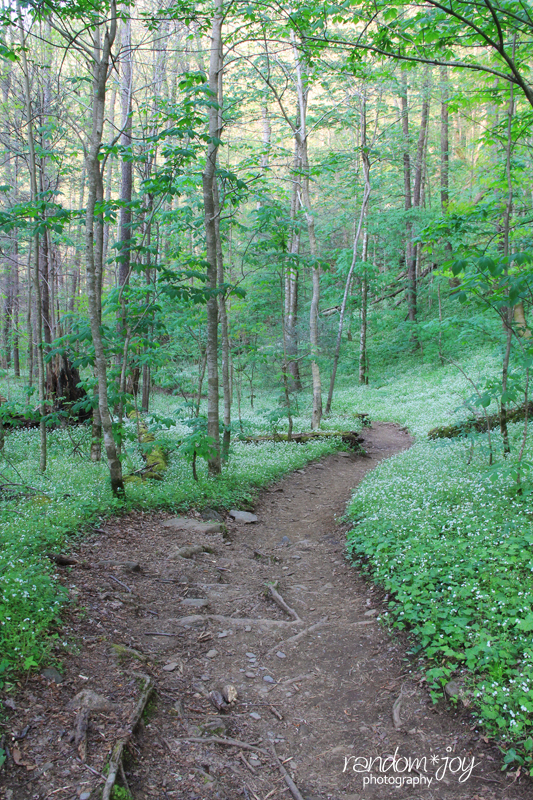 Porter's Creek Trail - Located in the Greenbrier area of The Smokies, The Porters Creek Trail is a moderate to strenuous 7.4 mile round trip out and back hike. The elevation gain is around 1400ft and offers ton's of wildflowers in the spring. Be sure to pack plenty of water and some snacks for this hike or full gear if you plan on staying at campsite 31. Chained Rock Trail - This is an easy to moderate 1 mile round trip hike to Chained Rock The trail features at least 150 stair steps and a wonderful view into the little walled town of Pineville, KY. 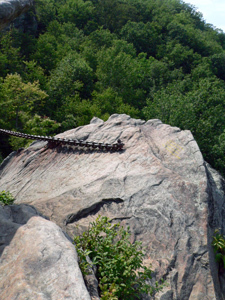 The trail gets its name from the rock that is chained to the mountain preventing it from falling into the town. 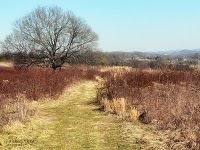 Big Valley Trail - The Big Valley trail is approximately 2 miles in length. 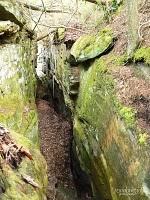 At the end of the trail it joins with the Indian Rock Loop Trail to make an approximately 6 mile hike. Big Valley is considered a moderate to strenuous hike as the length of the trail traverses Big Ridge and Pinnacle Ridge and having roughly combined elevation gain of 500ft one way. Langley Cemetery is also located along this trail. Big Valley Trail also intersects with the Ghost House Loop Trail as well as East and West Dark Hollow Trails. 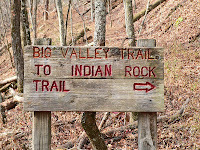 Indian Rock Loop Trail - The Indian Rock Loop Trail begins at the end of the Big Valley trail and is approximately 2.5 miles in length. It is recommended that only experienced hikers hike this trail as the blazes are sparse and trail hardly visible. Highlighted on this trail is a plaque in a rocky area on the ridge top that commemorates where Peter Graves, a settler of Sharp's Station, was scalped by Indians while out hunting. Sharp's Station is located at the end of the Sharp's Station trail which is .25 miles in length at the backside of the loop trail. 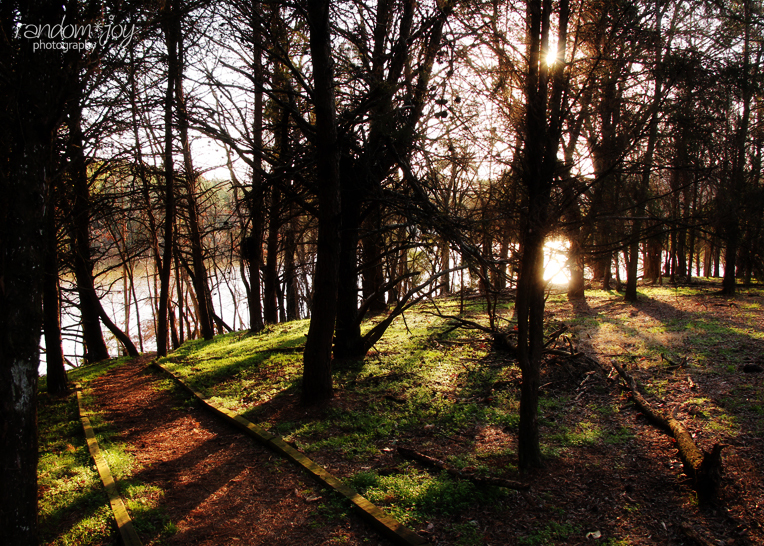 Lake Trail - The Lake Trail is approximately 1.5 mile trail with two accessible trailheads. This hike is rated easy to moderate. The backside of the trail follows along the edge of Big Ridge Lake. Featured on this trail is the Big Ridge Dam, built by the CCC in the 1930's and Snodderly Cemetery. This trail intersects West Dark Hollow Trail, Ghost House Loop Trail, Loyston Overlook Trail, and Meditation Point trail. Elevation gain on this trail is approximately 140ft. 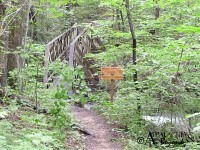 Old Mill Trail - A .3 mile trail one way, the Old Mill Trail is a gentle stroll that meanders alongside Big Ridge Trail directly opposite of the Lake Trail. This trail also goes by some of the cabins in the park and exits in one of the cabin parking areas. The trail is rated as easy with an elevation gain that is minimal. 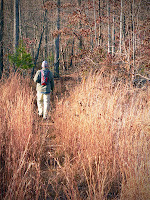 Byrd Creek Trail - Byrd Creek combined with Cumberland Plateau Nature Trail make a nice, easy 2.7 mile loop trail through a dense hardwood forest and sandstone area of the Cumberlands. The trail is rated as easy with just over 60ft of elevation gain. Cumberland Plateau Nature Trail - Cumberland Plateau Nature Trail combined with Byrd Creek make a nice, easy 2.7 mile loop trail through a dense hardwood forest and sandstone area of the Cumberlands. The trail is rated as easy with just over 60ft of elevation gain. Cumberland Mountain Segment (Cove Lake to The Devil's Racetrack) - This 6.6 mile round trip out and back segment of the Cumberland Trail is a grueling hike. 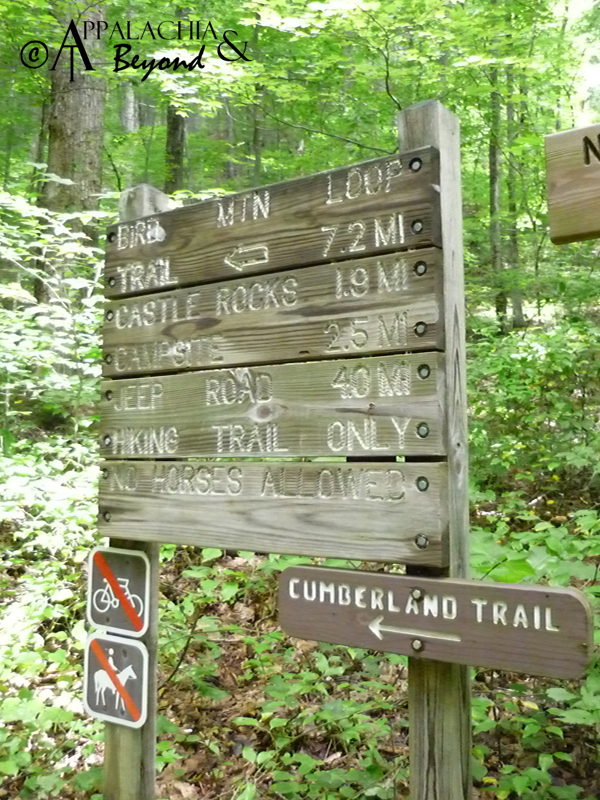 Rated at moderate to strenuous, the elevation gain is approximately 1900ft and the terrain is typical East Tennessee rough trail. 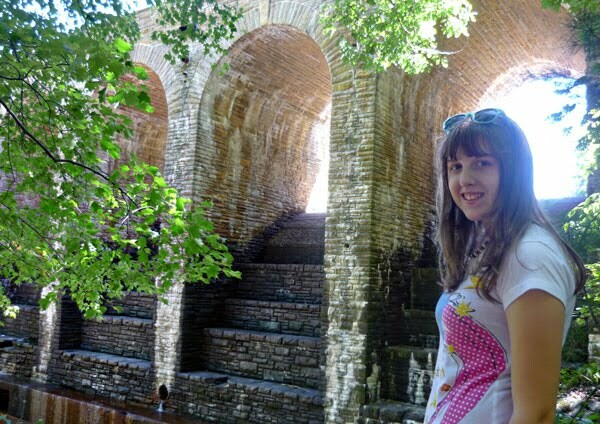 The scenery is nice featuring some man made waterfalls. The only drawback is half the trail follows alongside the interstate but the interstate is hidden by trees for the most part. 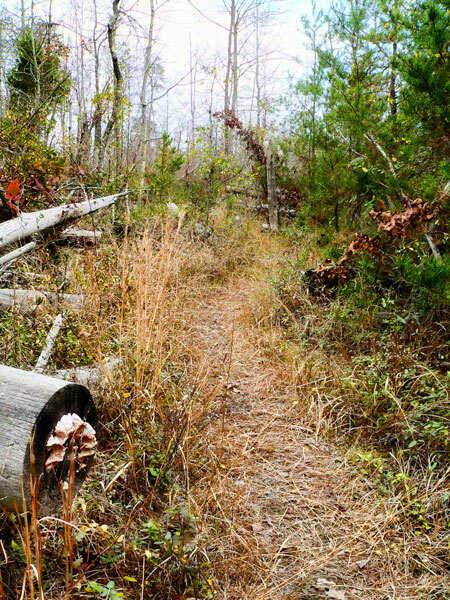 Interpretive Trail Loop - In the mood for a leisurely stroll in the woods? The Interpretive Trail loop is a relatively flat easy trail. Of course there are several variations that can be done to up the ante on this trail if you so desire. 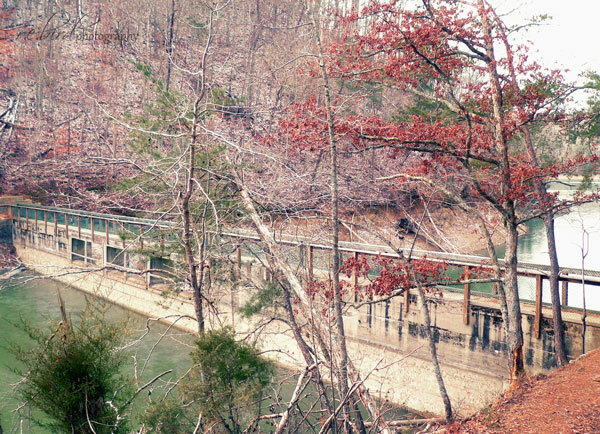 The loop itself is just under a mile, perfect for the little ones and offers beautiful wooded and creekside scenery. 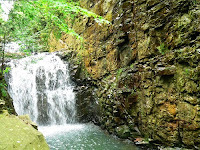 Debord Falls - The Panther Branch Trail to Debord Falls and back is an easy hike yet the terrain is a bit rough as is typical of Frozen Head State Park. Total trip distance is a little over a mile with elevation gain right at 150ft. Granted the falls are only 12ft. in height, what it lacks in height it makes up for in width and grandness when the creek is flowing. 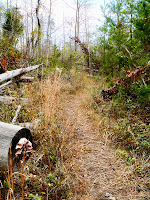 Panther Branch Trail - This trail is a moderate to strenuous hike one way with a total elevation gain of almost 1300ft. and distance of 2.3 miles from the trailhead. This hike features rugged terrain, a campsite and splendid woodland beauty complete with Panther Branch Creek most of the way up the trail. This trail intersect with the Emory Falls Trail shortly after Debord Falls and North Old Mac Trail at its terminus. Turning right on North Old Mac will provide a nice loop hike of 6.25 miles when you arrive back at the Panther Branch trailhead. Bird Mountain Trail - Bird Mountain Trail is accessed on the left just after starting the Lookout Tower Trail from the trailhead in the Big Cove Campground. The trail is rugged and tough switching back 14 times as it climbs approximately 1600ft. up Bird Mountain. The trail is 4.3 miles in total length one way where it intersects with the Lookout Tower Trail. This trail is rated moderate to strenuous. North Old Mac Trail - The North Old Mac trail starts at .25 miles in on the Old Mac trail. North Old Mac is 3.6 miles one way with a rugged footpath rated moderate to strenuous. This trail intersects with Panther Branch, and also continues past Panther Branch to meet up with the Lookout Tower trail where numerous trails can be accessed. Judge Branch Trail Loop - The Judge Branch Trail is accessed via the Old Mac Trail. The trail itself is only 1.2 miles but with access from Old Mac and throw in a part of the South Old Mac Trail for a loop and it's a 2.6 mile loop with a little over 320ft. in elevation gain. The Judge Branch campsite is located along the trail and 3 footbridges with creek access for water resupply and cool dips in the summer. This a great beginners trail for the hiker who's got a few trails under their belt, as it is rated easy to moderate with a slightly rugged footpath. Marine Railway Loop - The Marine Railway Loop is a 4.4 mile loop hike which can be done as a figure 8 or other various ways. There are two access points for the trail, one on Hwy 441 and the other behind Luxury Cabin #8 in the park. 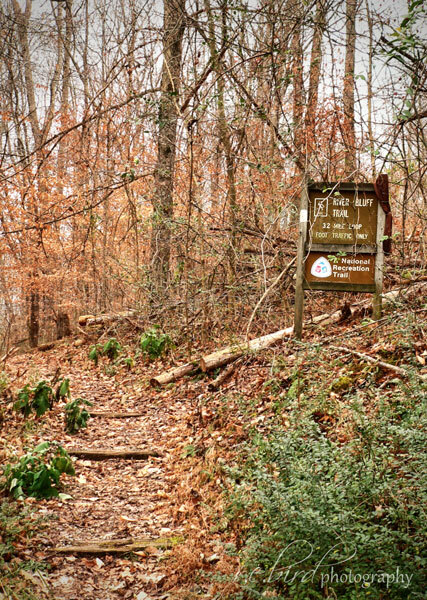 The terrain is not as rugged as most East Tennessee trails and with an elevation gain of around 200ft the trail is rated moderate. Rock Creek Loop Trail - This trail is accessed via the Andrews Ridge Trail. Total Trail distance is approximately 1 mile total distance. This makes for about a 2.2 mile round trip hike from the Andrew's Ridge trailhead. Total elevation gain on this trail is approximately 200ft. The terrain is not very rugged and the trail leads to a cove where one can enjoy the lake. This trail is rated as moderate. 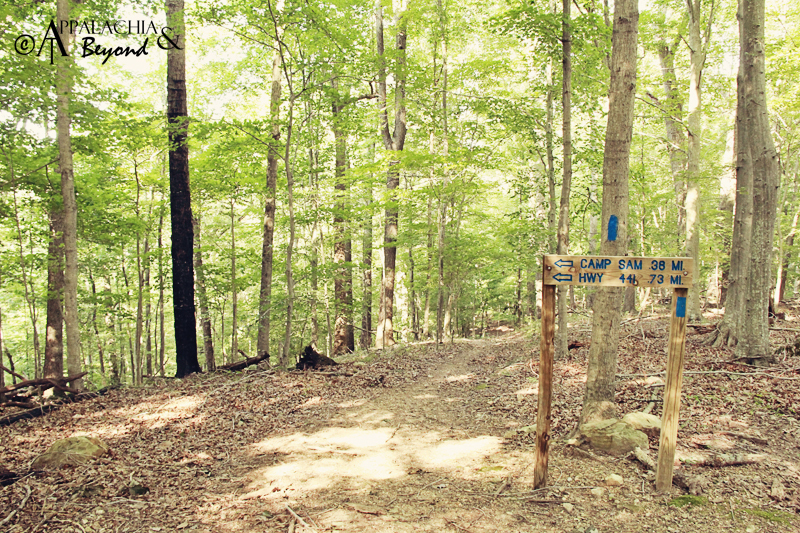 Camp Sam Trail - The Camp Sam Trail is a total of 1.1 mile in length including the side loop around the old CCC/Boyscout camp that the trail is named after. It offers two access points, one right off Hwy 441 and the other via the Lake Trail/Tall Timbers Trail. Elevation gain is close to 300ft on this trail and is mixed with easy and rugged terrain. The trail is rated easy to moderate. Tall Timbers Trail - The Tall Timbers Trail is accessed via the rustic cabin area in the park or via the Christmas Fern trail (trailhead located next to the Tea Room.) 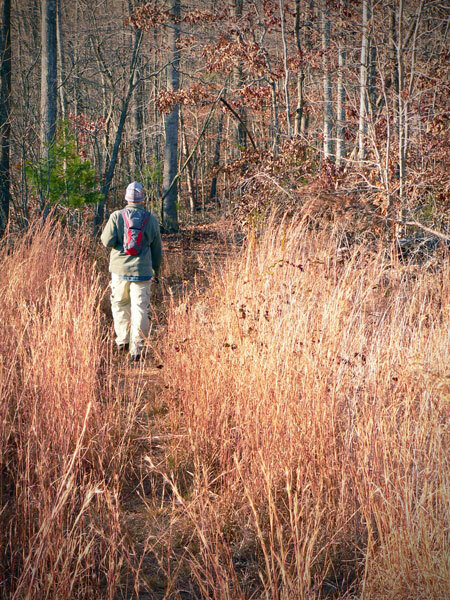 The trail is .4 miles in total length and can be combined with a number of trails in the area for a longer hike. The trail is mixed with easy and rugged terrain and the elevation gain is approximately 90ft. The trail is rated easy. River Bluff Loop - River Bluff Loop Trail is located in the TVA River Bluff Small Wild Area right next to Norris Dam State Park and is managed by park staff. This trail is approximately 3.2 miles in length with about 210ft elevation gain. The trail follows along side the Clinch River as it pours out of Norris Lake through Norris Dam. In the Spring, the River Bluff Loop is an oasis for wildflower fanatics. The trail is rated easy to moderate. Stinging Fork Falls Natural Area - Stinging Fork Falls trail is located in the aptly named Stinging Fork Falls Natural Area just west of Spring City, Tennessee. The trail is approximately 2 miles round trip out and back featuring the Stinging Fork water fall, a very wide fall that cascades down approximately 30' and in the winter is absolutely gorgeous with the frozen spray clinging to the wall around the falls. Approximate elevation gain is around 300ft. This trail is rated easy to moderate. Be careful in the winter as the trail can be covered in snow and ice. East Lakeshore Trail - This trail, when completed, will be a total of 35 miles with 18 miles being completed at this time in different segments. This trail meanders along the edge of Tellico Lake in East Tennessee. There are three trailheads to access different segments of this trail. Total elevation gain varies, and on the segment we hiked was roughly 30ft. This segment of the trail is rated as easy. The whole trail would be rated as moderate due to the distance. Seven Islands Wildlife Refuge - This park features over 6 miles of natural hiking trails and is a wildlife preserve managed by Knox County Parks and Recreation and The Seven Islands Foundation. We hiked several trails making one giant loop that ended up being just under 4 miles with a little over 230ft elevation gain. These trails are rated easy and offer lots of photographic opportunities of birds, wildlife, and wildflowers. 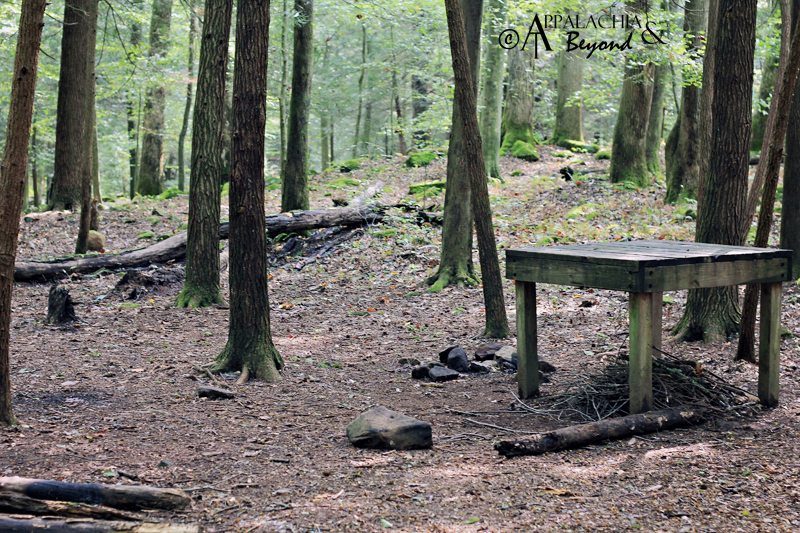 Joyce Kilmer Memorial Forest Trail -This 2 mile figure 8 loop trail in the Joyce Kilmer Memorial Forest is a wonderful, easy hike which takes you through a virgin hardwood forest filled with Yellow Poplars over 400 years old. This majestic place is a preserve in memorial to Joyce Kilmer, "Trees" poet and is located in the Slick Rock Wilderness Area in Robbinsville, NC. The trail is rated easy with an estimated elevation gain of over 100ft.